Price Gun Labels There are 262 products. 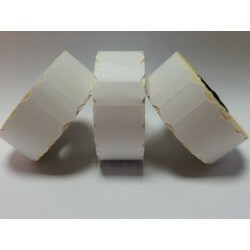 This listing is for a pack of 45,000 White Peelable CT4 price gun labels (30 rolls). The labels measure 26mm x 12mm and come in a pack of 30 rolls (45,000 labels). 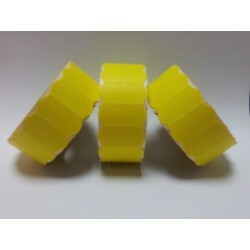 This listing is for a pack of 45,000 Yellow Peelable CT4 price gun labels (30 rolls). The labels measure 26mm x 12mm and come in a pack of 30 rolls (45,000 labels). This listing is for a pack of 45,000 Fluorescent Orange Peelable CT4 price gun labels (30 rolls). The labels measure 26mm x 12mm and come in a pack of 30 rolls (45,000 labels). 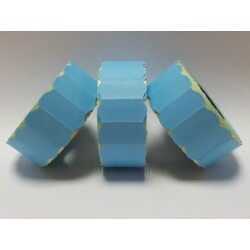 This listing is for a pack of 45,000 Blue Peelable CT4 price gun labels (30 rolls). The labels measure 26mm x 12mm and come in a pack of 30 rolls (45,000 labels). 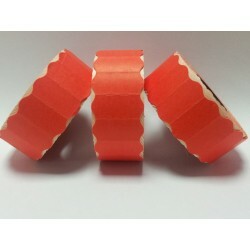 This listing is for a pack of 45,000 Red Peelable CT4 price gun labels (30 rolls). The labels measure 26mm x 12mm and come in a pack of 30 rolls (45,000 labels). This listing is for a pack of 45,000 Fluorescent Yellow Peelable CT4 price gun labels (30 rolls). The labels measure 26mm x 12mm and come in a pack of 30 rolls (45,000 labels). This listing is for a pack of 12,500 White Outdoor CT4 price gun labels (10 rolls). The labels measure 26mm x 12mm and come in a pack of 10 rolls (12,500 labels). This listing is for a pack of 45,000 Yellow Permanent CT4 price gun labels (30 rolls). The labels measure 26mm x 12mm and come in a pack of 30 rolls (45,000 labels). 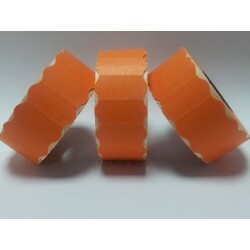 This listing is for a pack of 45,000 Orange Permanent CT4 price gun labels (30 rolls). The labels measure 26mm x 12mm and come in a pack of 30 rolls (45,000 labels). This listing is for a pack of 45,000 Blue Permanent CT4 price gun labels (30 rolls). The labels measure 26mm x 12mm and come in a pack of 30 rolls (45,000 labels). This listing is for a pack of 45,000 Red Permanent CT4 price gun labels (30 rolls). The labels measure 26mm x 12mm and come in a pack of 30 rolls (45,000 labels).